Few realize the role that Edmund Scientifics telescopes have played over the years in the growth of amateur astronomy. If you are among those who own one of these vintage instruments, you may be sitting on a wonderful window on the heavens for your personal observing pleasure—and valued collector’s item in many cases as well! Edmund Scientifics began offering telescopes in the late 1940s with its wonderful little 3-inch aperture reflector, soon to be followed by 4.25-inch and 6-inch more serious models. 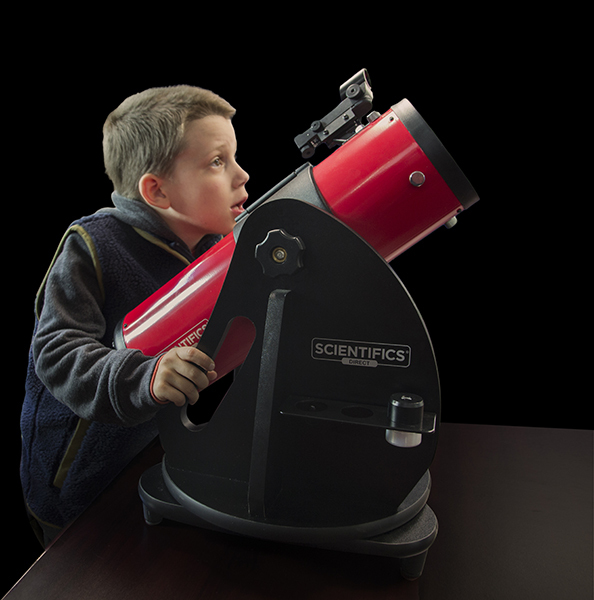 The original 3-inch itself sold for just $30, providing an affordable quality introduction to observing the wonders of the night sky. An inspiring testament to this tel;escope is one of the world’s best-known stargazers—astronomy author Glenn Chapel from Massachusetts. Although Glenn owns an arsenal of telescopes, his favorite is this little scope with which he has made thousands of celestial observations (and published many of them)! These early Edmund Scientifics telescopes were later followed by its famous Astroscan® (see below) and superb “Star Fleet” line, consisting of 3-inch, 4.25-inch, 6-inch and 8-inch reflectors plus 2.4-inch (60mm) and 3-inch refractors. These professional-quality instruments were offered at very affordable prices. And all sported attractive red tubes. An impressive Edmund Scientifics ad that ran in Sky & Telescope magazine showed the entire Star Fleet lined up and displayed together! (By the way, there was a reason for the trademark red-colored tubes beyond appearance. In the case of typical reflectors with their shiny white tubes, any stray light is directed into the eye of the observer while looking into the eyepiece at the side of the tube. This was also the reason for the red Astroscan® mentioned next. 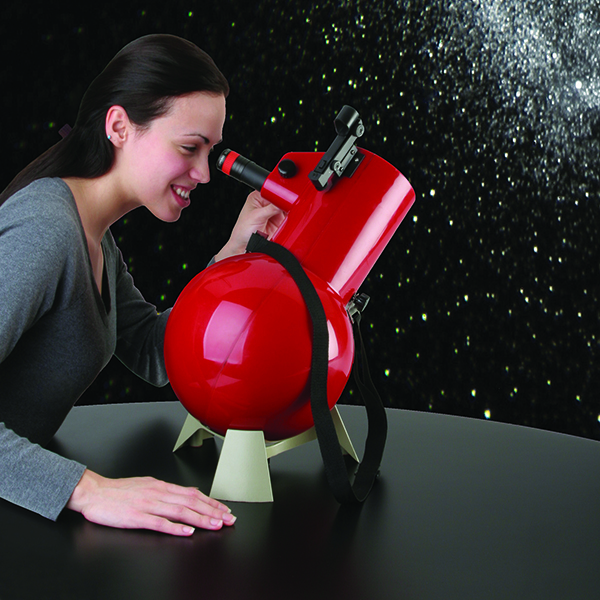 In 1976, Edmund Scientifics introduced the telescope for which it became best-known—the amazing Astroscan® rich-field reflector, which turned out to be the best-selling telescope of all time. Its 4-inch aperture was paired with a unique optical window which closed the tube to dust and air currents while supporting the secondary mirror. At 16 power, it provided an astounding 3 degrees—or six full-Moons—of sky coverage! While no longer being produced, a spin-off of the original is available from Scientifics Direct as the Astroscan® Millennium. 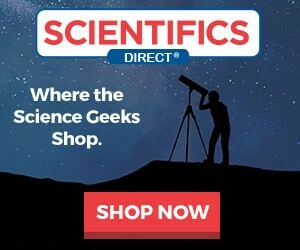 And in addition to it, Scientifics Direct also offers an extensive lineup of quality instruments from recognized names in optics and astronomy. These range from affordable models for the rank beginner to larger more complex ones for the experienced observer. 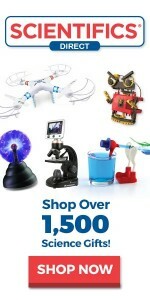 So be sure to check out its site at www.scientificsonline.com. Former assistant editor at Sky & Telescope magazine & author of nine books on stargazing. His latest, Celebrating the Universe!, is available from HayHouse.com.